You will be NICELY SURPRISED when you enter this 3 bedroom townhouse! This home has been FRESHLY PAINTED with lovely colors, new appliances (STAINLESS STEEL dishwasher-electric stove-refrigerator-hoodfan package, washer+dryer all 2017 and newer hotwater tank, blinds, kitchen, flooring, lighting and knockdown ceilings) everything in mint condition. Enjoy the beautiful view from the PRIVATE GREEN SPACE with mature trees. This INVITING LIGHT FILLED HOME features a beautiful living room with GAS FIREPLACE, the kitchen has lots of counter and cupboard space, MOVABLE ISLAND and convenient pantry. Upstairs you will find 3 bedrooms: the master has good size walk-in closet, and 4 piece bathroom. The large (dry-walled) basement is waiting for your creative development. This townhouse comes with 2 ASSIGNED PARKING STALLS and also a storage room. 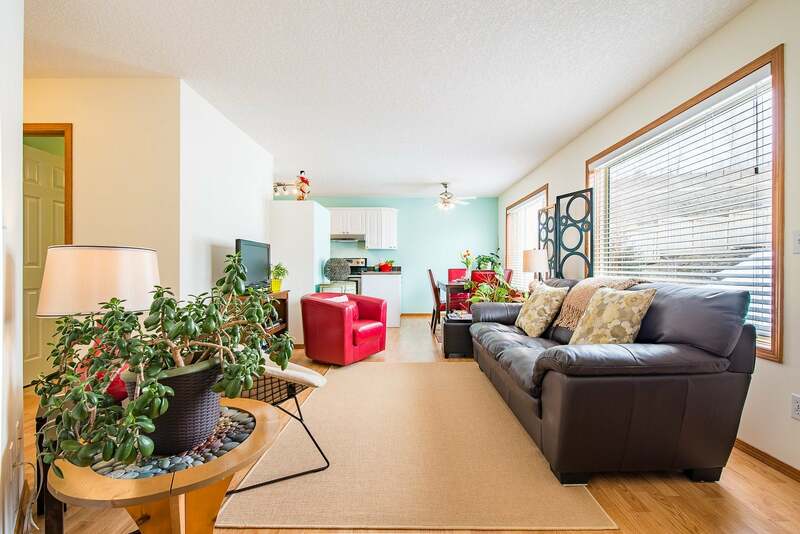 HIGHLY DESIRABLE LOCATION:Quiet small townhouse complex and walking distance to downtown Okotoks with all the unique shops and short commute to Calgary.